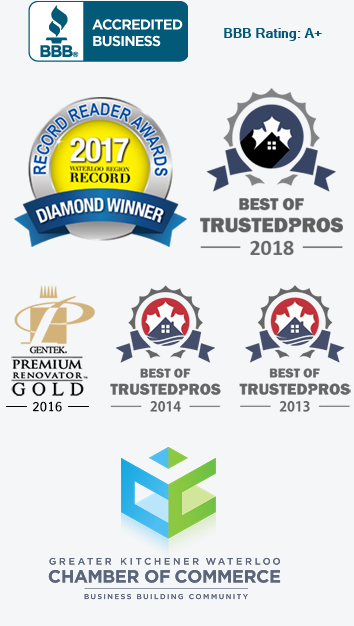 Westmount Craftsmen installs superior quality and advanced patio doors in the Kitchener, Waterloo, Cambridge, and Guelph area. These patio doors offer an outstanding warm edge system that provides a powerful thermal barrier. It also reduces condensation, blocks UV rays and decreases heat loss. These quality patio doors have impressive features such as diminishing outside noise and advanced energy-efficient technology. Which is offered by the EnergyPlus glass (soft-coat Low-E and argon gas). Want to know more? Read more below. Westmount Craftsmen services and installs a wide range of energy efficient and eco-friendly patio doors made by Sunview. We want to help our planet get cleaner by saving energy, recycling materials, and to lessen the amount of waste. Brighton, Hampton & Windsor: In the standard series, there are three different styles of patio doors, the Brighton, Hampton and Windsor patio doors. They are impressive builds with high energy efficiency features. Because of the one inch sealed units, these doors provide thermal performance to keep the temperature in your home steady. They are sturdy patio doors with superior resin that will not rust and keep it’s looks for a long time. 1 – The vinyl frame is 4 7/8” mechanically secured. 2 – Maximized strength with steel to stand higher wind loads. 3 – Includes one inch sealed units for optimum thermal performance. 4 – Elegant sturdy hardware, available in many options. 5 – The strong welded sash add further structural strength. 6 – Double edge seal for superior air-tightness. 7 – Includes stainless steel roller track. Victorian: Outstanding thermal efficiency features, the Victorian patio doors provide security lock options and quality. Maximized strength with steel to stand higher wind loads, the Victorian patio door is extremely sturdy built from advanced vinyl. We offer a wide variety of decorative options that will allow you to add your own personal touch. 1 – The vinyl frame is 5 7/8” mechanically secured. 5 – Double edge seal for superior air-tightness. 6 – Includes stainless steel roller track and anodized screen track. Buckingham Series 1000: Built from the most superior vinyl, strengthened with a wood buck frame, the Buckingham series is extremely sturdy patio door. Due to the wood frame, this door is inexpensive and long lasting. Contact us to learn more about the many quality accessories available. 2 – Eight degree sill incline for optimum drainage. 3 – Maximized strength with steel to stand higher wind loads. 4 – Includes one inch sealed units for optimum thermal performance. 5 – Elegant sturdy hardware, available in many options. 7 – Includes stainless steel roller track and anodized screen track. 8 – Three weather seals. Buckingham ECO – Series 1000: The Buckingham eco-friendly patio door is made of rice hull material joined with recyclable polyolefin thermoplastic for incredible strength. A few advancements from the woodblock systems are, improved thermal resistance, fire resistance and strength properties. Contact us to find out more about the wide variety of colours and finishes available. 8 – Doors are entirely reversible. Kent: Provides impressive 1 3/8” triple glazed Low-E argon energy-efficient technology. From hardware to frame choices and security locks, contact us to learn more about the wide variety of customizable patio door options. 1 – Maximized strength with 3 ¾“ welded steel. 2 – Includes one inch sealed units for optimum thermal performance. 3 – Elegant sturdy hardware, available in many options. 4 – Impressive Draining system with anti-return flaps. 5 – Includes stainless steel roller track and anodized screen track. 6 – Eight degree sill incline for optimum drainage. Newcastle: The highest value patio door, the Newcastle features the finest upgrades and details. From welded sash to exquisite heavy-duty screen and whisper silent rollers, this patio door delivers on many more features such as superior security system. 1 – Pocket covers on interior, exterior jambs and sill. 2 – Triple point stainless steel locking system. 3 – Multi-chamber frame and sill. 4 – All vinyl 4 7/8“, 6 1/8“ and 6 7/8“ frame and sill. 5 – Superior strength and water resistant due to the 45° welded corners. 6 – 2″x 5″ vinyl steel reinforced welded sash. 7 – Double weather strip on meeting rails. Essex: Incredible advanced security system and built from the most superior vinyl, the Essex patio door is highly energy-efficient. Including technology with dual glazed Low-E. Contact us to learn more about the options available to you. 2 – Superior strength and water resistant due to the 45° welded corners. Westmount Craftsmen installs an impressive variety of decorative grids, these grids will help enhance the look of your patio door. Contact us to learn more about the wide range of designs and colours you can choose from. Westmount Craftsmen offers a wide range of exterior colour choices, providing options to customize and add your personal touch to your patio door. The exterior colours provided are high quality and impact resistant, it’s also U.V stable and has an advanced adhesion process. Contact us to know more about the customization process and what other accessories we provide. Decorative glass adds character and a touch of drama to the architectural design of your home. These stunning doors are built with care and consideration to completely transform the look of your home, both inside and out. Contact us to find out the wide range of choices that are available to you.